A ship was lost off the north coast of Alderney in the late sixteenth century. Its identity is unknown, and even its nationality is in question. 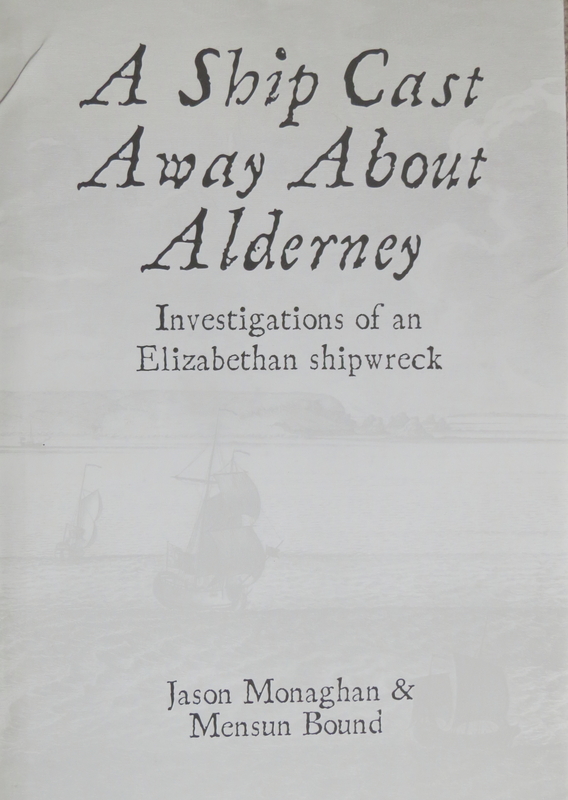 The book is a summary of underwater and post-excavation work on the Alderney Elizabethan wreck prior to 2000. It includes fully illustrated specialist reports on the guns, firearms and armour found on the site, as well as the ship’s rudder and other pieces of wreckage. The authors are dive director Mensun Bound, and archaeologist Dr Jason Monaghan, plus a dozen specialists who brought together evidence from two decades of work on this dangerous and elusive site.